Competition in the HVAC industry is downright brutal. To survive, you’ll need to pull out all the stops. Or, you can have Contractor Calls do it for you. From HVAC SEO and web design to social media management and reputation management, the Contractor Calls team has the talent and experience to cover nearly all of your online marketing needs. We will work with your company to find your ideal market segment and then aggressively capitalize on it, so you’ll generate new business faster than the competition can keep up. Learn more about how we do it, or schedule a free consultation to learn exactly what we can do for your business. 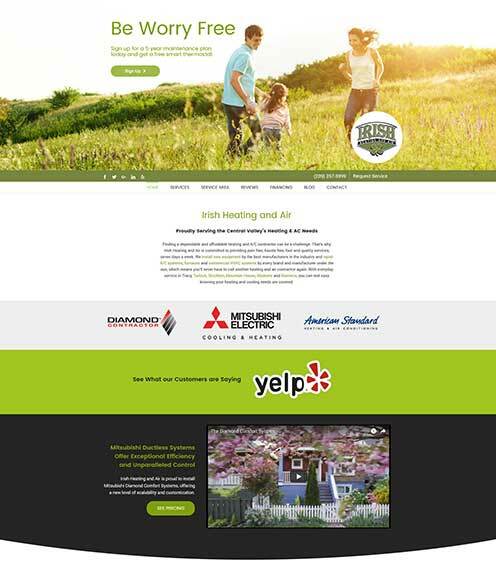 What is the Best Way to Advertise an HVAC Business Online? Google Ads – With a Google AdWords account, you’ll get a quick setup time, moderate management fees, and superior control over your ad spend. The downside is that you’re charged per click or call, and it can take several expensive clicks to land you a single job. Facebook Ads – Facebook ads are a great way to connect to past and potential customers by keeping your brand relevant. While this can be a strong option for promoting content or running specific promotions, the number of regular service calls this can generate is limited. HomeAdvisor and other lead gen platforms – Most heating and cooling contractors who try these systems don’t stick with them long term. Several of these platforms charge you for nonexclusive leads, which means you’ll get to race another company to the bottom on price. Others just ask too much from each job to be practical. Yelp and other free review sites – Love them or hate them, these sites can effectively generate leads. Don’t bother paying for their paid solutions, but do take the time to optimize your profile, respond to bad reviews, and help happy customers leave new reviews. As a customer, we can also help with the process. SEO – SEO, or search engine optimization, remains one of the most effective ways to generate leads long term. When people search for an air conditioning or furnace repair service and see your name first, it’s almost like receiving an endorsement from Google. Over time, SEO will generate more leads for less than any other online marketing method. Forget about hiring a cheap SEO firm if you need to rank in the HVAC industry. SEO for HVAC contractors requires advanced techniques that many of the pros aren’t even equipped to handle. Offering a scholarship isn’t a sure-fire way to maximize your SEO—unless you do it with the right help. Our team will help you craft a scholarship that fits with your brand before reaching out to the schools that will be happy to host it. We will even manage the applicants and deadlines, so all you have to do is be the hero. 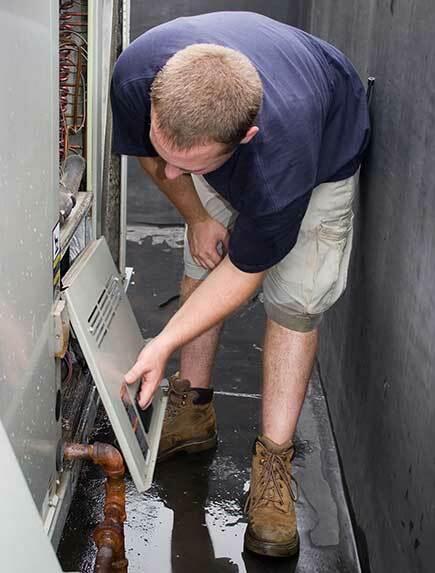 Are more of your potential customers searching for “air conditioning repair” or “air conditioner repair”? There aren’t a lot of topics that haven’t been done to death in the HVAC industry, but we know how to find and capitalize on the opportunities that the competition leaves behind. Posts like “why does my furnace smell like diesel?” have earned thousands of visits each, drawing in new potential customers and opportunities for SEO. Have you considered sponsoring the local little league team? We can help you see what kind of impact it would have on your SEO. If you haven’t already gone looking for sponsorships, we can help you find ones that will have big impacts not only on your rankings, but also on your community.